No matter what’s going on in my life, there’s one thing that will always make everything roughly 3,000 times better—and that thing is carbs, guys. Well specifically, bagels. You thought I was about to get deep on you then, didn’t you? Nope. I take bagels very seriously, and nothing short of the right sesame to dough ratio, juuuuust the right amount of chewiness, a generous schmear and many epic toppings will do. One place that totally understands my obsession is Smoking Gun Bagels. 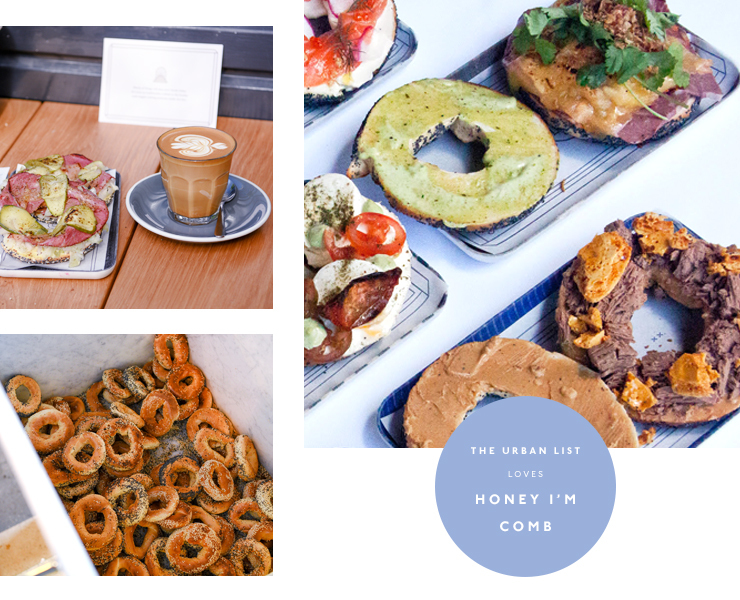 These legends are Sydney’s kings of bagels and I could literally head here every single day, for every single meal, and with absolutely no regrets. In fact, sometimes I do. The first time I walked into this place, I was smacked right in the face with the world’s most delicious smell—baking bagels. Here, they’re wood fired, Canadian-style in a big ol’ oven, and every single one is made with a whole lotta love—from the local produce suppliers who deliver their top-notch ingredients daily, to the fact that each beautiful bagel is rolled by hand, riiiiight until the moment it hits the oven. When it comes to toppings, you can definitely choose your own adventure by mixing and matching all of your fave bits and bobs. But, if we’re being honest (aren’t we always), we recommend you just stick to the menu, because they’ve got it pretty down. If you’re in the mood for a sweet start, hit up the honey I’m comb (we know) with lashings of peanut butter and crunchy toppings of macadamia and wattle seed, honeycomb, and flake chocolate. But if you’d prefer to keep it savoury, our hot tip is to head straight for the miso hungry (geddit), topped with red miso and orange cured salmon, cream cheese schmear, and fresh pops of radish and caviar. Let’s be real though, our genuine recommendation is that you order both, or better yet, invite a few of your mates, order one of everything and share the lot. If you don’t have the time to settle in (shame on you), then there are a few mandatory items that you need to tick off your Smoking Gun bucket list. First, order a coffee. Not only is that my motto in life, but also in this case, you can be assured that their coffee is deliciously brewed and will leave you wanting more. Which leads me to my next item—order another coffee. In the meantime (AKA, while you sip the first one), place your order for one of the bagels off the menu (any of the bagels off the menu—you really can’t go wrong here people), then grab a cheeky 6-pack to take away. We could tell you to share with your colleagues, but don’t. They’re WAY too delicious for sharing (#notsorry). 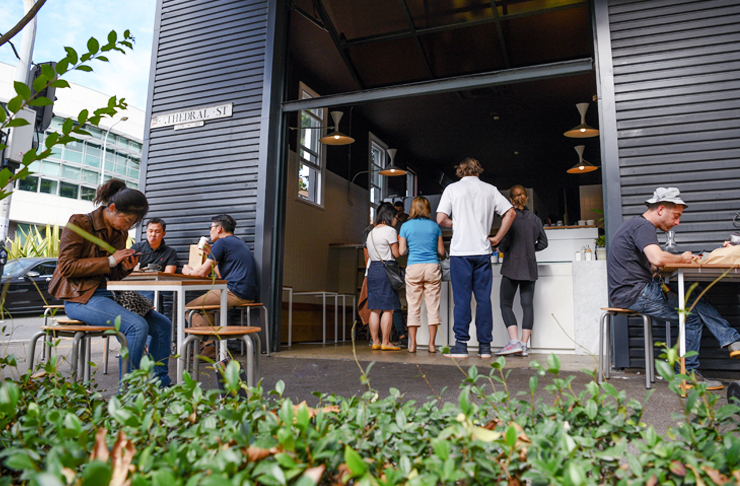 In short, head here, order coffee and allllll of the bagels. ‘Nuff said. Want more bagels? Read this.